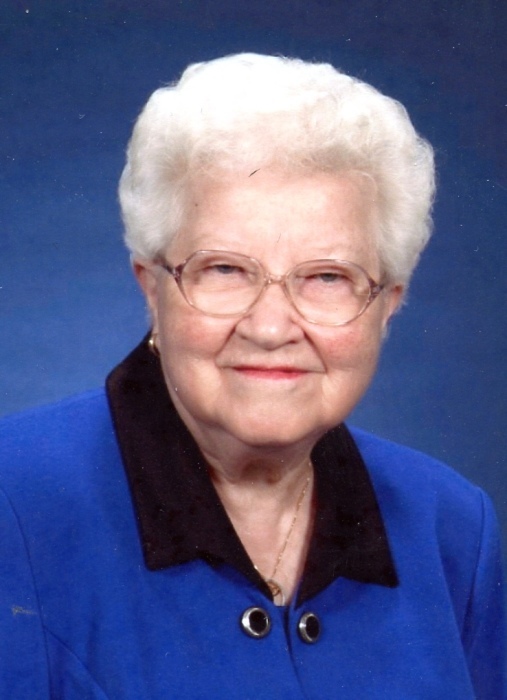 Betty R. Coolbaugh, 91, Donahoe Manor Road, Bedford formerly of Schellsburg died Wednesday, April 10, 2019 at Colonial Courtyard, Bedford. Mrs. Coolbaugh was born in West St. Clair Township, PA on July 15, 1927, daughter of the late Ross and L. Orise (Wright) Williams. On June 26, 1949 she married John E. "Jack" Coolbaugh they were married for 64 years. He preceded her in death on November 16, 2013. She is survived by Daughter- Karen wife of Douglas DeVore, Centerville; Daughter- LuAnn N. Bender, Cumberland; Son- John E. husband of Cynthia (Clark) Coolbaugh, Schellsburg; Grandchildren Chris, Craig, Sara, Jonna, Justin and Jeramy; Sister- Kathryn Manspeaker, FL; Brother- Ross, Jr. husband of Mildred Williams, Schellsburg; Sister- Lillian Dilling, Martinsburg; Brother- Rayford husband of Margaret Williams, Harrisburg. She is also survived 10 great grandchildren. Betty is preceded in death by- Infant Daughter, Carol Ann. Betty retired in 1989 from Cen West National Bank after more than 30 years of service. She graduated from Schellsburg Napier High School class of 1945 and Cambria Rowe Business College. She was a very active member of United Church of Schellsburg where she served as church treasurer and also taught Sunday School. Betty was a Charter and Life member of the Ladies Auxiliary Post 4440 where she served as President for 17 years. She was a Girl Scout Leader and a member of RSVP. She loved to bake for her grandchildren and greatly enjoyed doing volunteer work. Friends will be received on Saturday, April, 13, 2019 from 10:00 AM - 1:00PM at Mickle-Geisel Funeral Home, Schellsburg. A funeral service will be held at Mickle-Geisel Funeral Home, Schellsburg at 1:00 PM on Saturday, April 13, 2019 with Pastor Ruth Joudry officiating. Memorial Contributions may be made in memory of Betty R. Coolbaugh to Grane Hospice Care, 115 Union Ave. Altoona, PA 16602 or Colonial Courtyard, 220 Donahoe Manor Road, Bedford, PA 15522.